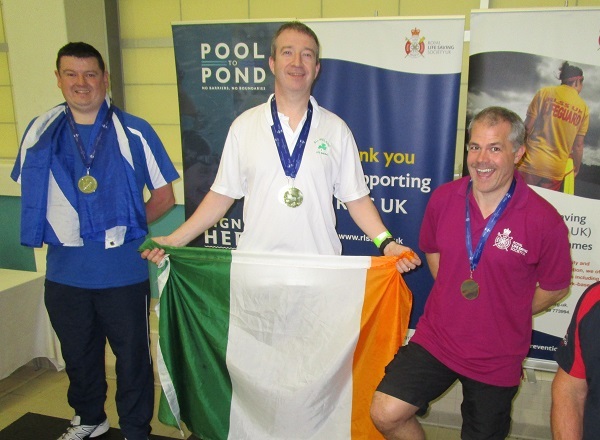 Life savers from Inspire Leisure Centre at the Deaf Village, Cabra, were recent winners at an international competition held in Leeds, England. The event, organised annually by the Drowning Prevention Charity, aims to encourage life savers to perfect their rescue swimming skills. 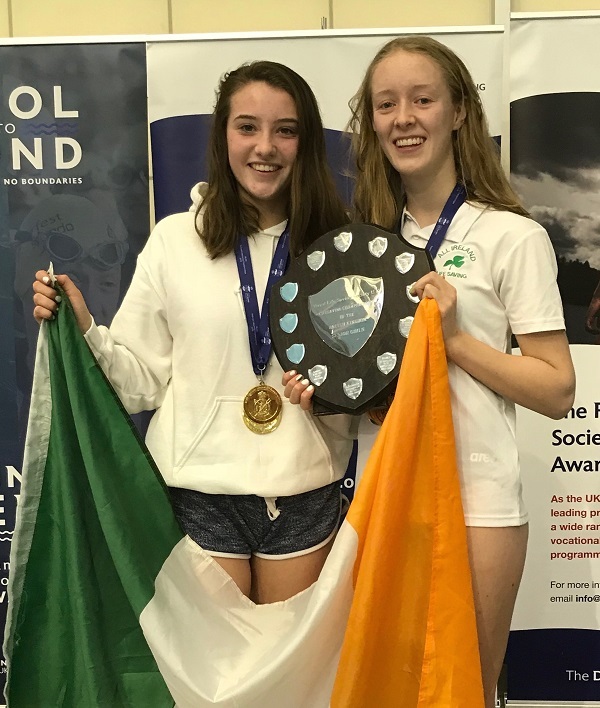 The performance of the day came in the Senior Girls (16-18 years) competition with the Irish pairing of Rachel Callender and Rachel Smyth winning the overall competition, the first Irish winners of this event for 10 years. 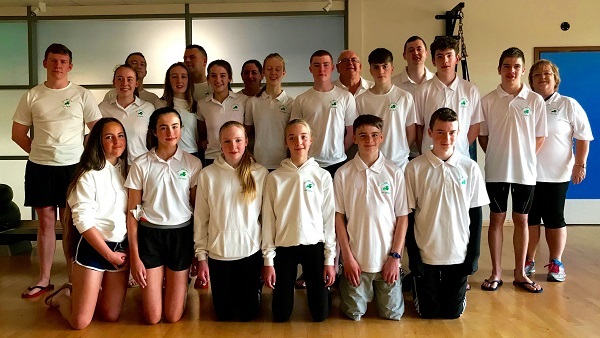 Success for the St. John Berchmans’ club’s swimmers continued in the Masters division, with David Browne taking overall gold in the Men’s event with club-mate Laura Mulhair taking Silver in the Ladies’ category, while Noel Mulhair came home with a gold and a bronze medal in the individual events. 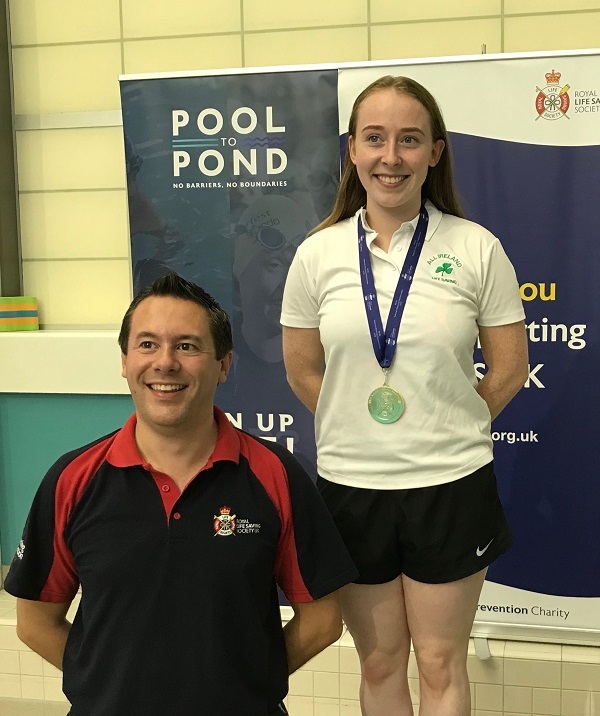 Overall the Irish team placed second, narrowly beaten by the defending champions Wales, with English opposition taking the bronze. 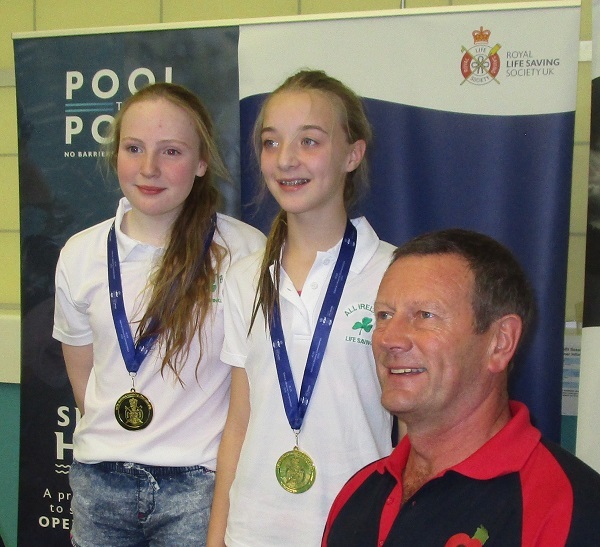 “These swimmers train regularly each week, learning the skills to save lives from drowning. Most of the competitors have been practising for many years now, and it was great to see such dedication paying off with so many medals.